Our most popular products, chosen for their winning combination of professional quality, ease of use and cost-effective price, are listed in the ‘Best Sellers’ section of the Twistfix website. Listed below are some of the signature products used extensively around the UK in construction, repair and renovation projects, giving results of the highest quality. Our range of insulation fasteners offer customers a quick and easy solution for securing insulation laminates to the structural elements of a building. 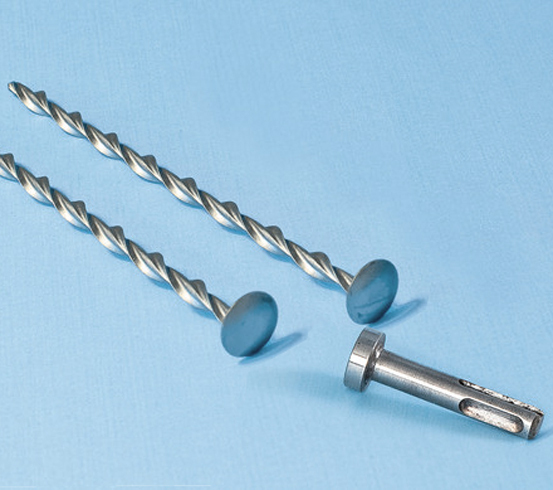 Our innovative fasteners are used to nail insulation boards to roof rafters, to fix plasterboard insulation sheets to masonry and to secure fire resistant thermal boards to concrete soffits. The Twistfix range of Cavity Drain Membranes is used to waterproof basement walls.­ Cellar conversion has experienced a dramatic resurgence in popularity recently as people become more careful with finances, choosing to create extra space within their existing home as opposed to incurring the heavy costs of moving house. The air-gap membranes form drainage/ ventilation chanels and meet all official specifi­cations including BS 8102. 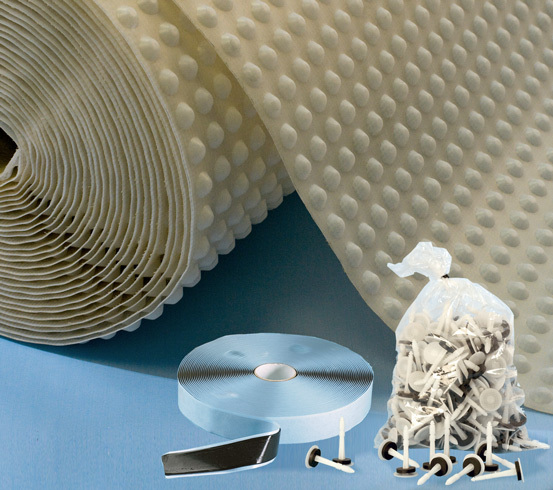 In addition to the membrane itself, Twistfix supplies water­pro­ofing tapes fixing plugs, drainage chanels, sumps and submersible pumps to offer everything needed to complete a basement waterproofing project successfully. Professional contractors working on masonry-stitching and reinforcement projects continue to choose the Twistfix Masonry Crack Repair Kit to provide lasting results. Suitable for the repair and renovation of brick, stone and block walls, the helical crack-stitching bars included in the kit effectively redistribute all tensile forces equally along their full length, strengthening and stabilising the damaged wall. The kit is available in both standard and heavy-duty formats, containing stitching bars, specialist grout, applicator, mixer paddle and brick jointer. Please enjoy browsing our best-selling products. 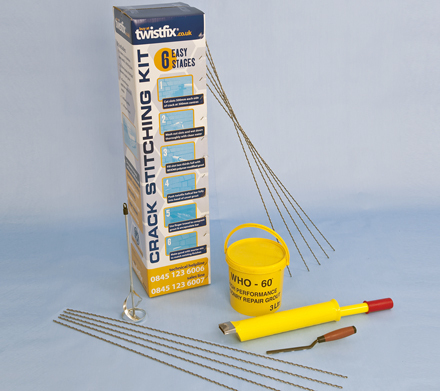 For further information on the range, please call 0845 123 6006 or email us at sales@twistfix.co.uk.